Serve as a side or main dish in less than 10 minutes. Organic, vegetarian and full of summer garden sensations. 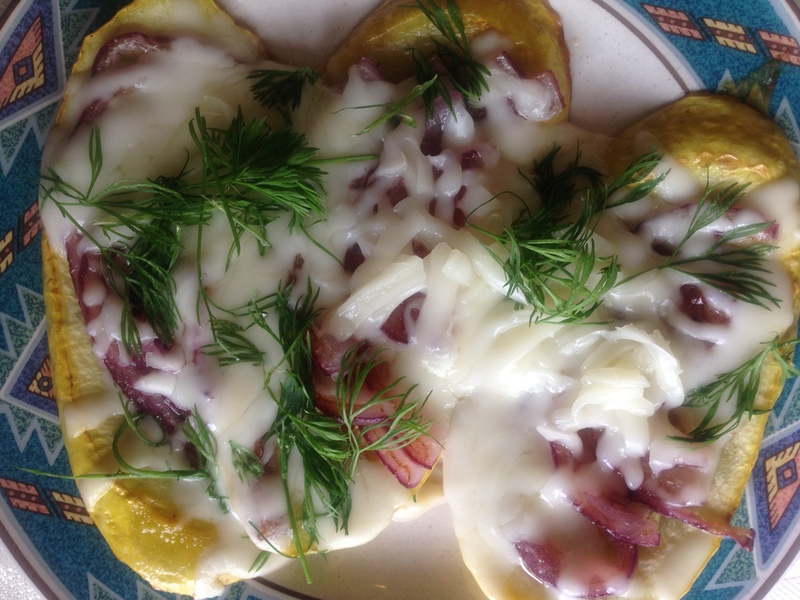 Savor this delicately sweet yellow squash, generously topped with pan browned red onion slivers, finished with creamy melted mozzarella and garden harvested French lace parsley. They re-heat well. 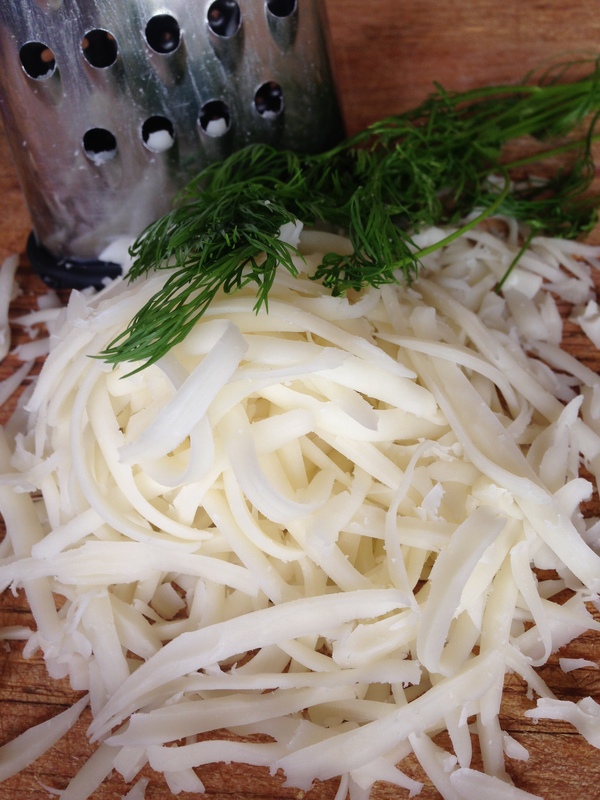 Use a very hot pan and quickly brown the bottom and melt the cheese. Keep uncovered so the squash remains firm. 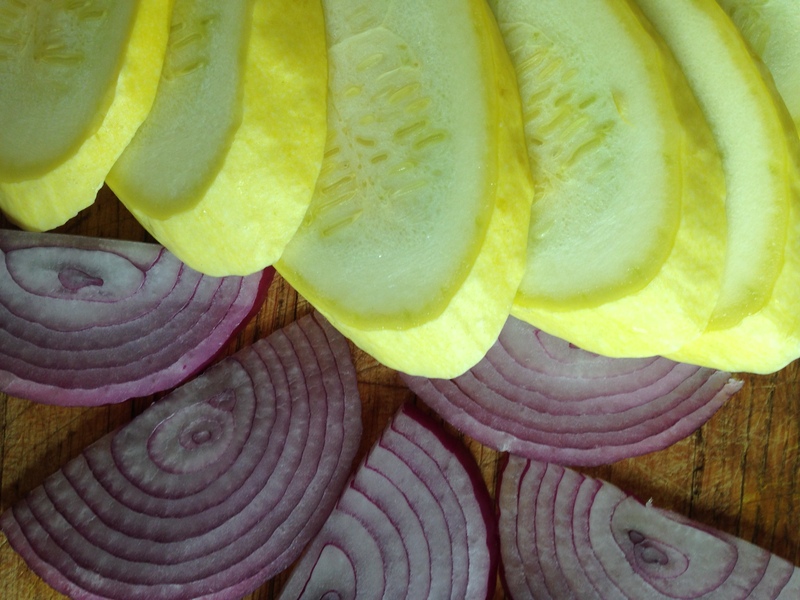 SLICE THE SQUASH ON A STEEP BIAS. If they’re cut into coins or straight slabs, the inside can become steamed and mushy. The same is true with eggplant. Slicing the squash on the bias will create more surface area to brown and the peel will keep the shape. Use any cooking oil with a light flavor. I used grapeseed for this recipe. 1. Brown both sides of squash slices over medium heat. No lid. Salt lightly and set aside. 2. 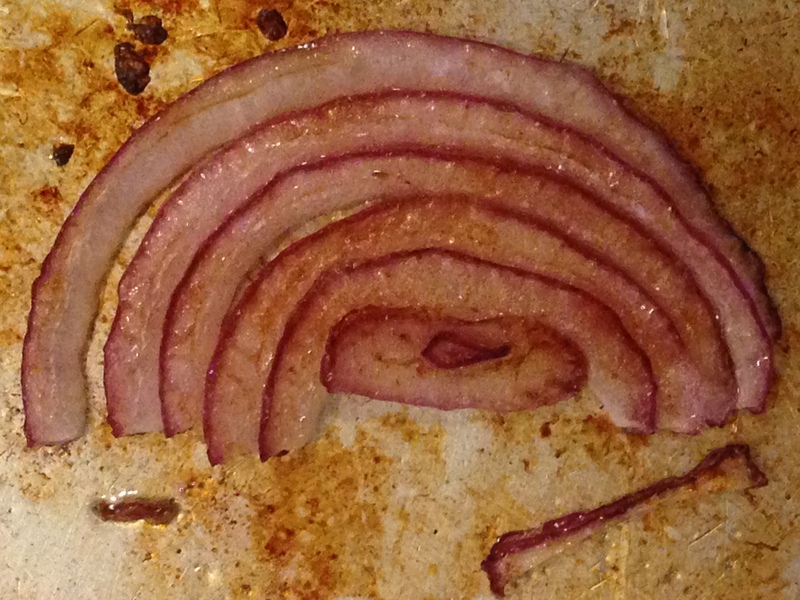 Peel a medium red onion and cut in half. Slice thin, then brown on both sides over medium heat. No lid. Very lightly salt while cooking. 3. 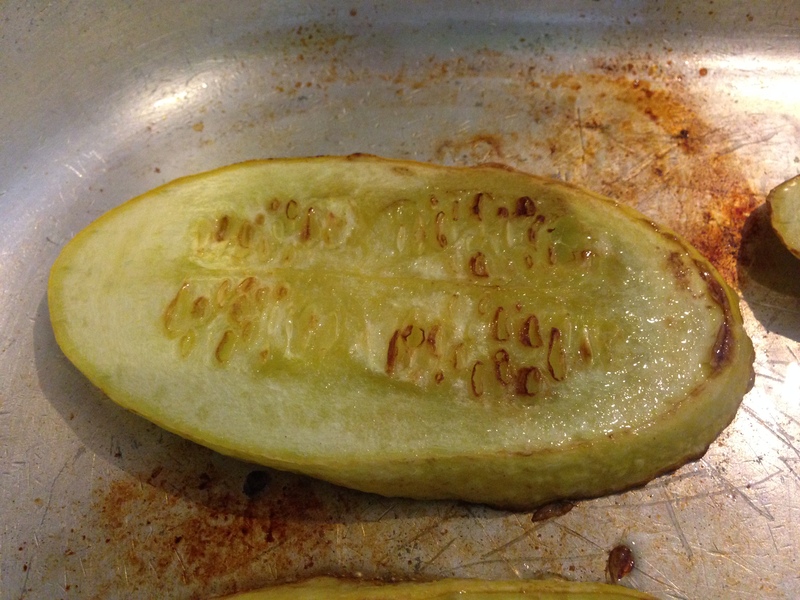 Put squash slices back into the pan and place the browned onion slices atop the cooked squash. Add a few tablespoons of grated mozzarella cheese to create the squash slider. Put a lid on the pan and melt the cheese. 4. Plate the sliders and top with beautiful, green parsley. 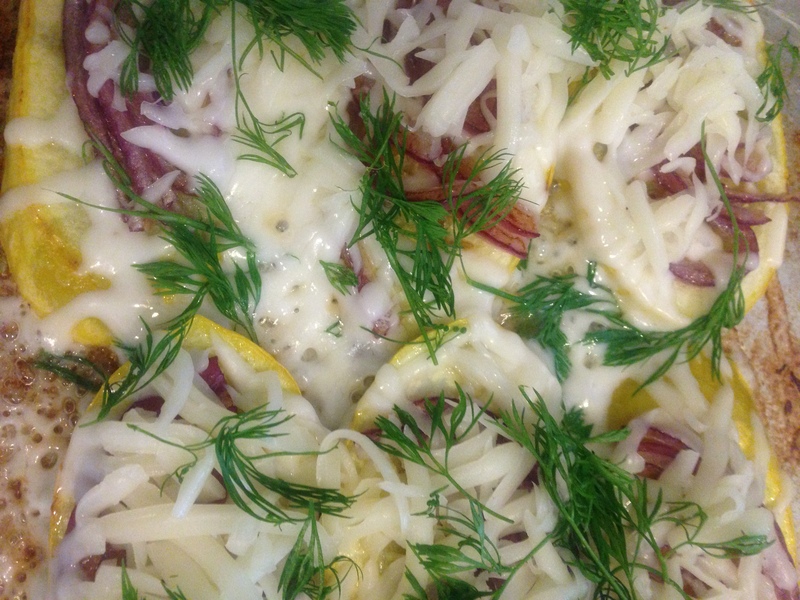 I used a pepper jack cheese to see if it added a nice kick, but jack cheese doesn’t pair as well with the red onion. A Vidalia sweet onion would.